“It is good news that more money is being spent on infrastructure, but a profound disappointment it will go on a project for which the economic, business, social and environmental case is weak at best. “There are scores of other transport projects, big and small, both road and rail, which would deliver greater benefits much sooner. “By going with HS2 the Government is essentially sidelining many better value schemes and condemning people across many parts of the country to a bleak travel future. Justine Greening’s full written statement is below. The Secretary of State for Transport (Justine Greening): The consultation High Speed Rail: Investing in Britain’s Future was one of the largest national consultations ever undertaken by the Department for Transport. 54,909 responses were received, from individuals, businesses and organisations across the country. 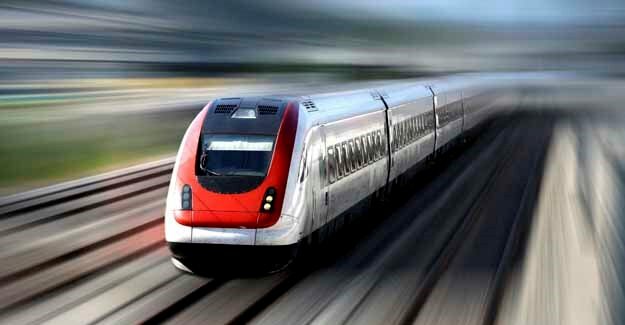 It is clear from the consultation that a national high speed rail network – High Speed 2 – generates strong feelings, both in favour and against the scheme. I have decided Britain should embark upon the most significant transport infrastructure project since the building of the motorways by supporting the development and delivery of a new national high speed rail network. By following in the footsteps of the 19th century railway pioneers, the Government is signalling its commitment to providing 21st century infrastructure and connections – laying the groundwork for long-term, sustainable economic growth. The HS2 Y network will provide direct, high capacity, high speed links between London, Birmingham, Leeds and Manchester, with intermediate stations in the East Midlands and South Yorkshire. There will also be direct links to Heathrow Airport and to the Continent via the HS1 line. It will form a foundation for a potentially wider high speed network in years to come. HS2 will be built in two phases to ensure that the benefits of high speed rail are realised at the earliest possible opportunity. The line from London to the West Midlands and the connection to HS1 are expected to open in 2026, followed, in 2032-33, by the onward legs to Manchester and Leeds and the connection to Heathrow. The capital cost at 2011 prices of building the complete Y network is £32.7 billion. At present values, it will generate benefits of up to £47 billion and fare revenues of up to £34 billion over a 60-year period. The benefits of HS2 will extend beyond the network itself; links to current lines will enable direct trains to run to cities such as Liverpool, Newcastle, Glasgow and Edinburgh and, with long-distance services transferring to the new network, space will be freed up for new commuter, regional and freight services on other lines, opening up new opportunities for Britain’s existing railways. Links to key urban transport networks, such as Crossrail, will help to spread the benefits further still. HS2 is entirely consistent with the Government’s objectives for carbon emissions. Electrified rail is a comparatively low-carbon mode of transport, especially with the continued decarbonisation of the grid. Speed increases power consumption, but also makes HS2 more attractive to those currently flying or driving. The faster journeys on HS2 – Edinburgh and Glasgow will be just 3.5 hours from London – could transfer around 4.5 million journeys per year who might otherwise have travelled by air and 9 million from the roads. HS2 will also create more rail capacity on existing conventional speed lines for freight – removing lorries from our busy trunk roads. HS2 is therefore an important part of transport’s low-carbon future. In securing these benefits for our country, I am committed to developing a network with the lowest feasible impacts on local communities and the natural environment. I have been mindful that we must safeguard the natural environment as far as possible, both for the benefit of those enjoying our beautiful countryside today and for future generations. People living along the line of route highlighted particular concerns and provided constructive and thoughtful comments about the London to West Midlands route proposed at consultation. Following careful study by my engineers I can announce a package of alterations to further reduce the route’s impacts. The changes mean that more than half the route will now be mitigated by tunnel or cutting and there will also be a reduction in the impacts on people and communities, ancient woodlands and important heritage sites. A refreshed hardship-based property purchase scheme. Today I have presented to Parliament a full account of my decisions titled High Speed Rail: Investing in Britain’s Future – Decisions and Next Steps. My Department has published a series of supporting documents which set out in further detail the basis on which I have reached my decisions. All of this material is available at www.dft.gov.uk/highspeedrail .